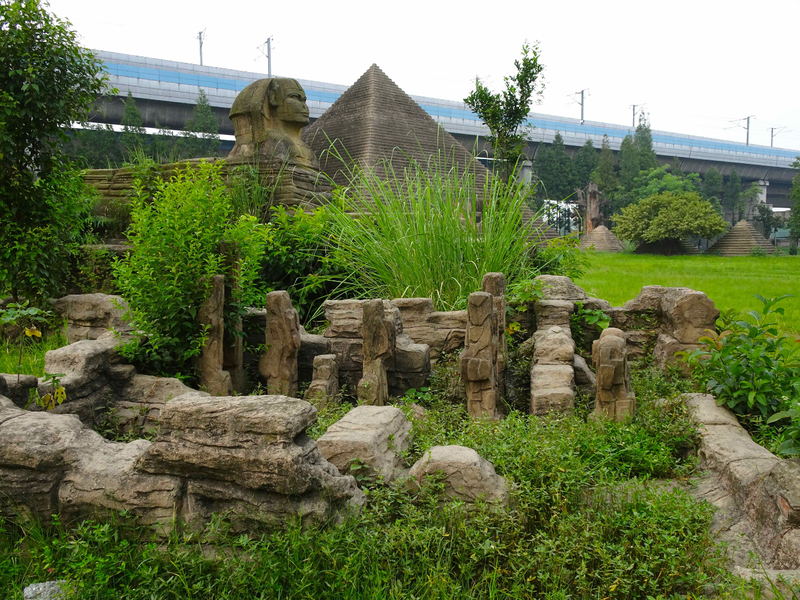 Urban ruins represent a marginal subject of research within the field of Chinese studies, and yet are a precious reminder of the country’s rapid urban development. 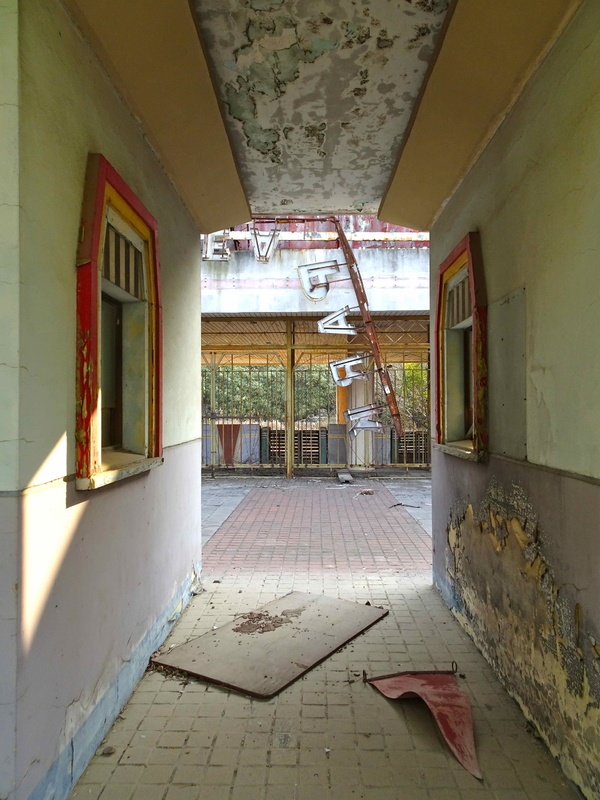 By approaching these abandoned spaces through urban exploration, Judith Audin makes an original contribution to the analysis of the Chinese city. 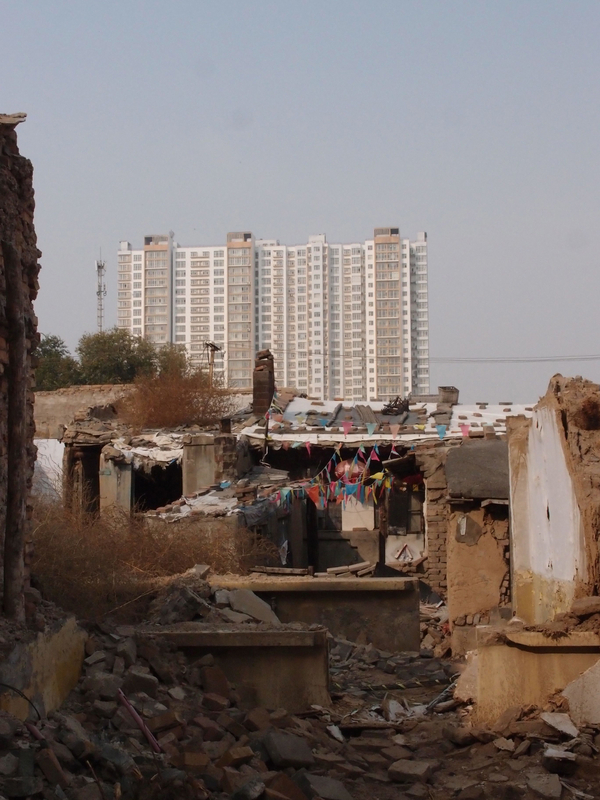 Demolition, a violent but banal process in the Chinese urban landscape of the last 40 years, has produced the most common form of contemporary ruins in China (Meyer 2008). 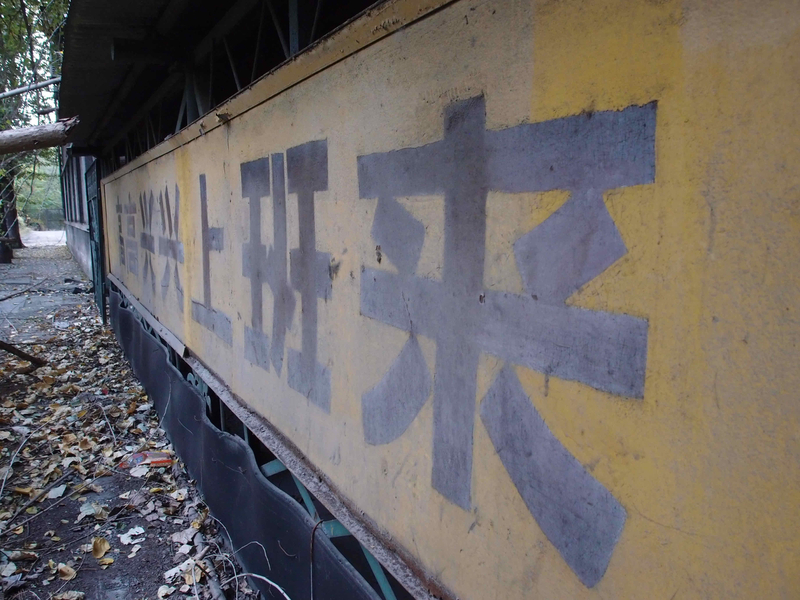 These demolition landscapes, embodied by the character 拆 painted on the walls, has accompanied the recent and rapid development of Chinese cities since reforms to move the country towards a market economy, initiated in 1978, and which accelerated in the mid‑1990s (Hsing 2010; Wu 2015). 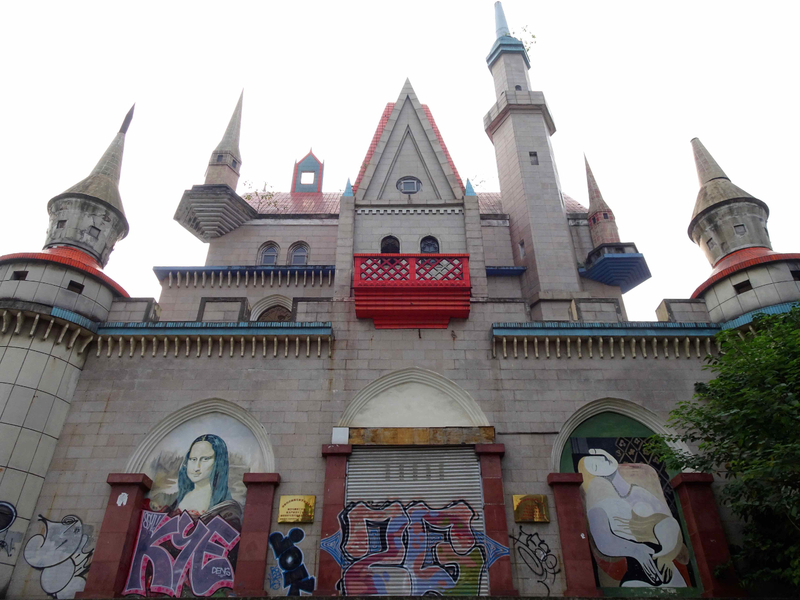 While “traumatic ruins” (Le Blanc 2010) associated with political events (for example, the Sack of the Summer Palace of 1860, the Cultural Revolution) or environmental occurrences (e.g. 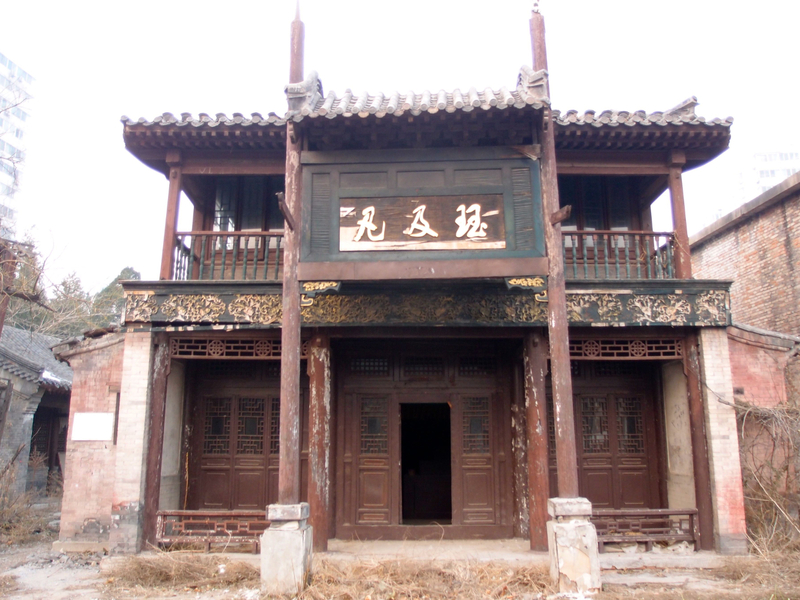 natural disasters) have been studied to a certain extent, urban ruins and abandoned spaces constitute a marginal subject for research within studies on China, which tend instead to focus on growth and urban development, or on social problems linked to inequalities or integration (see in particular Logan 2002; Li 2007; Yin 2010). 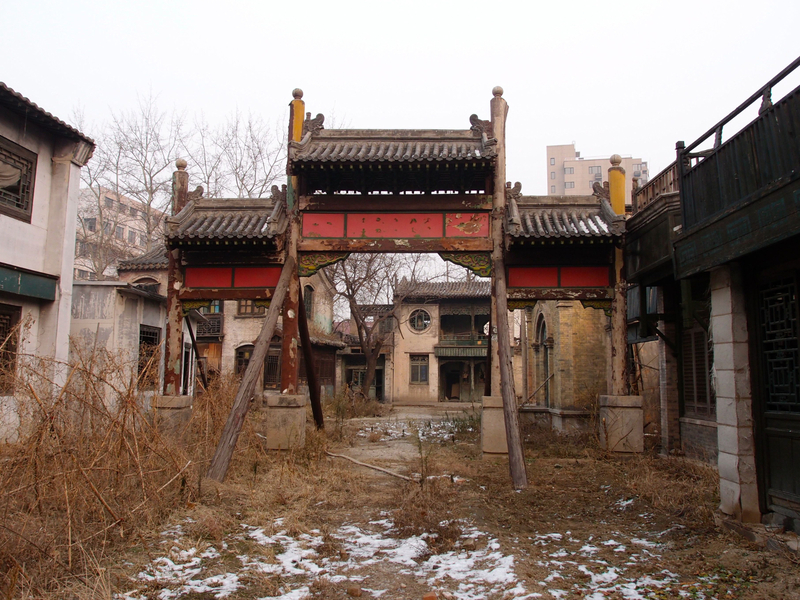 And yet a wide variety of places stand in a state of abandon and deterioration in Chinese cities: neighborhoods in the process of being demolished (photo 1), abandoned industrial complexes, or cultural and leisure facilities that have closed down, for instance. Certain newly constructed urban areas are extensively underpopulated or even completely empty, generating a proliferation of terms such as “ghost cities” and “ghost towns”. 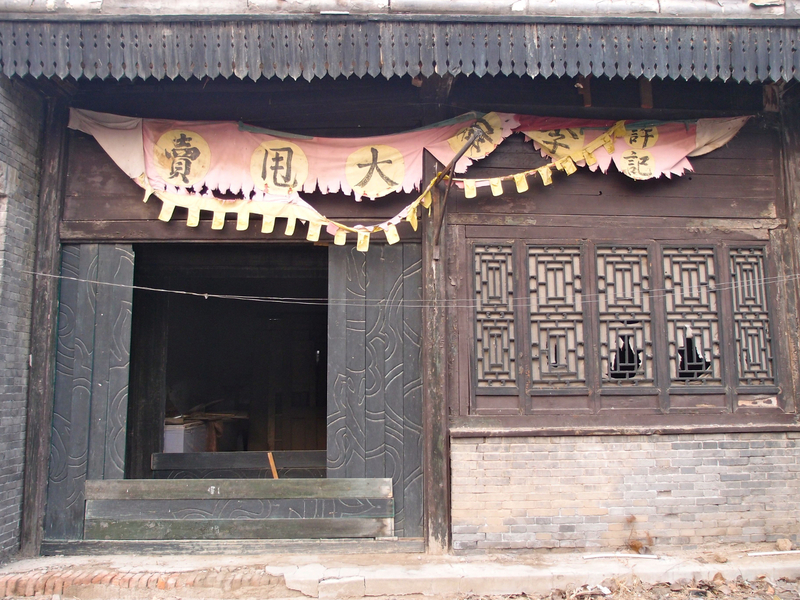 In research on Chinese cities, situations of decline or deterioration tend to be considered only as parentheses within an urban trajectory, or as abnormalities, with cities destined to be stimulated by growth; and those publications that do focus on abandoned places tend to view them through the dominant lens of urban development, considering them “pathologies” (see in particular Shepard 2015; Sorace and Hurst 2016). And yet the urbanization of Chinese cities is neither a linear nor a stable process, and spaces that are abandoned or in situations of flux represent a significant stratum of the Chinese urban space. 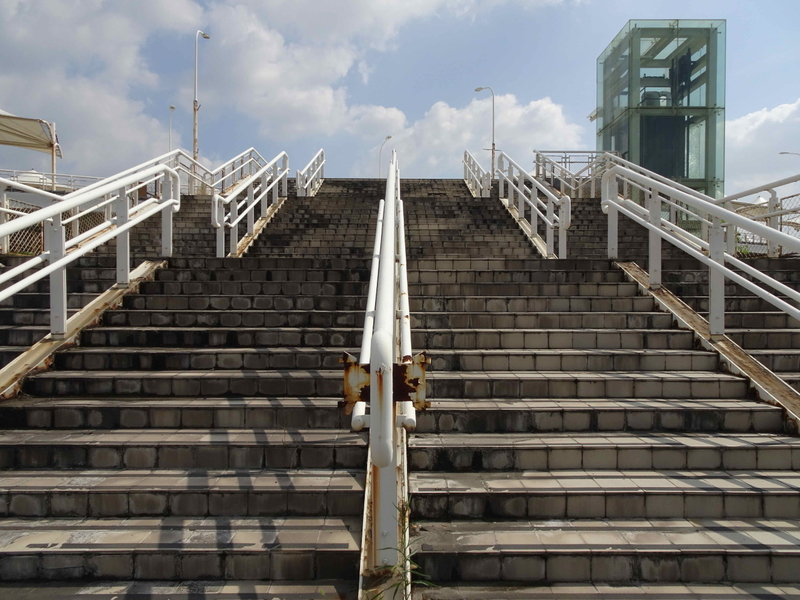 This article seeks to explore the blind spots of urban development by considering abandoned places, development projects that have proved to be failures or “put on hold,” and processes of deterioration and decline of the built environment. 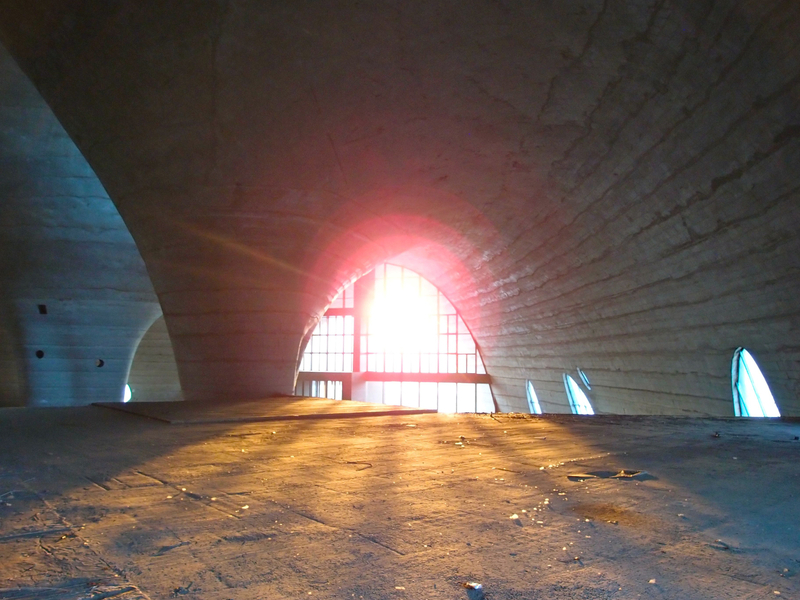 To this end, an ethnographic approach will be adopted that enables the practice of urban exploration (that is, visits of abandoned places built by humans) to be used as an original and fecund methodological tool for urban studies. Urban exploration—also known as urbex—has developed as an alternative urban culture since the 1980s. It has rapidly become more well known in recent years via social networks, and has been the subject of artistic approaches and journalistic accounts, as well as research in the fields of philosophy and geography (see in particular Garrett 2011, 2014a; Mott and Roberts 2013; Somhegyi 2014; Nieszczrzeweska 2015). 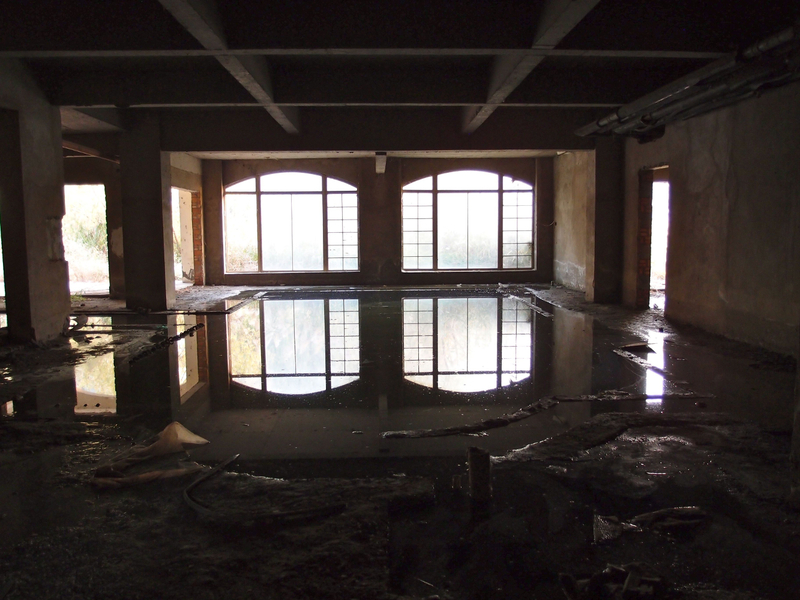 While artists and photographers have used ruin landscapes as an angle for wider reflection on Chinese society (Wu 1998, 2012), we propose to use urbex for research purposes, through the long-term exploration of abandoned places in several Chinese cities: Beijing, Shanghai, Hangzhou (in Zheijang province), Datong (in Shanxi province), and Guangzhou (formerly Canton) and Zhuhai (both in Guangdong province). Because urban exploration involves discovering a place from the inside, and apprehending its physical state as well as its atmosphere by avoiding any modification or transformation of the space in question, it bears similarities with observational approaches in ethnography. Sociology and anthropology are disciplines that re‑emerged in Chinese universities in the 1990s, and field studies of an ethnographic nature were developed above all in the 2000s. 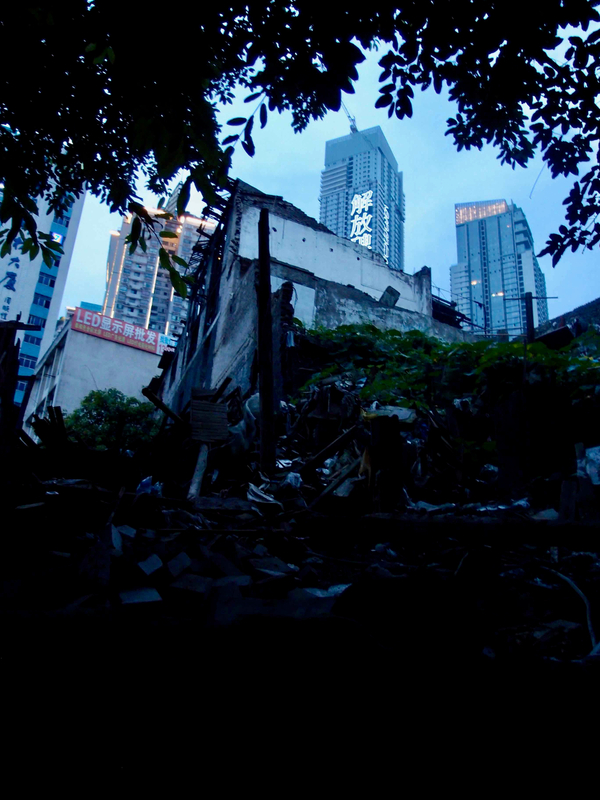 In this sense, the ethnography of Chinese abandoned buildings allows us to document those elements that are missing as a result of a form of economic development that in large part eradicated the social and architectural landscape of the Chinese city of the 1980s and 1990s. The main problem raised by this research methodology lies in entering these spaces and collecting data clandestinely, at the risk of researchers’ personal safety. Abandoned places are isolated, and the built environment is dilapidated and dangerous. But, more generally, access to many sites is difficult in China for foreigners wishing to follow official procedures, and it is common to have to resort to alternative methods of investigation. Urban exploration is a form of clandestine intrusion, but is a “recreational” form of trespassing (Garrett 2014b): places are visited, photographed, and committed to memory, without theft or damage. Using this method, urban ruins are documented in situ, along the lines of an approach based on reading clues and traces (Ginzburg 1980). In documenting the physical nature of abandoned, neglected or forgotten places, urban exploration looks for signs of social apparatus that has disappeared, as a form of “urban archeology.” It seeks to understand the “spirit of ruins” (Ferranti 2005) by identifying lines of continuity/discontinuity in urban space, starting with these “strange” cases (Lacroix 2007). All photos © Judith Audin. For more information on any of the photos, click on the “i” in the top left-hand corner. To see larger versions of these images, please download the PDF version of this article. 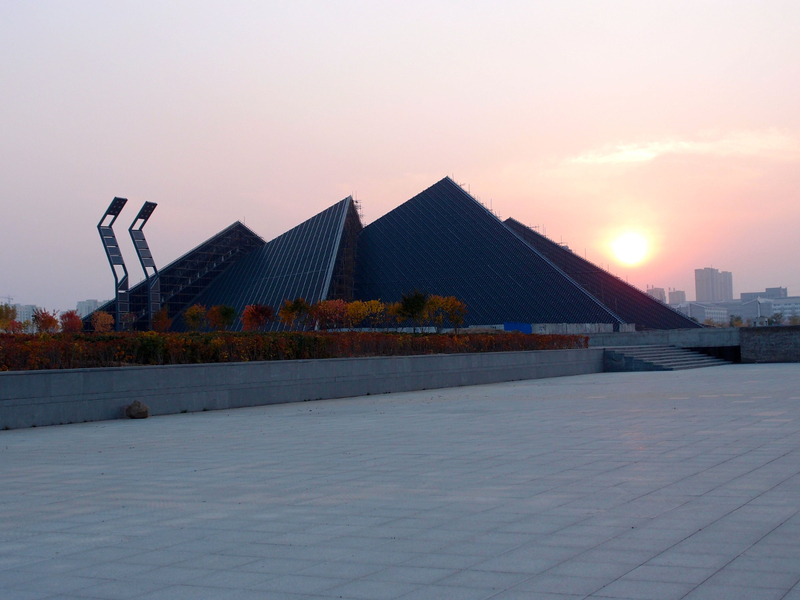 Urban exploration allows us to take stock of the different layers that structure the Chinese city, from the pre‑Communist period to the present day: Sino-European architecture from the Republican era, socialist industrial projects from the Mao era, and urban facilities and projects from the 1990s and 2000s, for example. From this standpoint, deteriorated places and contemporary ruins are not envisaged as abnormalities or pathologies, but rather experienced as “other spaces” (Foucault 1994), or heterotopias, that enable us to analyze the history and dynamics of the Chinese city through atypical trajectories. 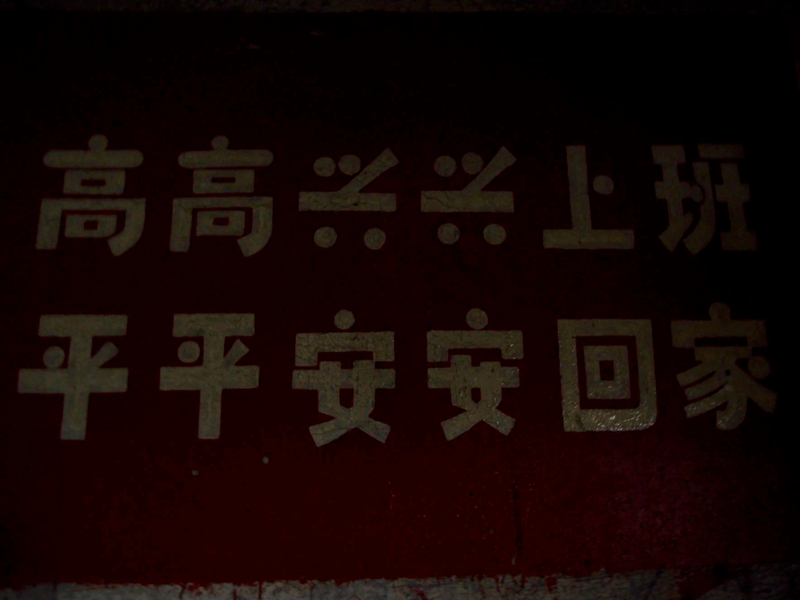 These abandoned spaces go against the myth of the “civilized” (wenming) and “harmonious” (hexie) modern Chinese city promulgated in the urban imaginary (see Broudehoux 2008; Kloeckner 2016). 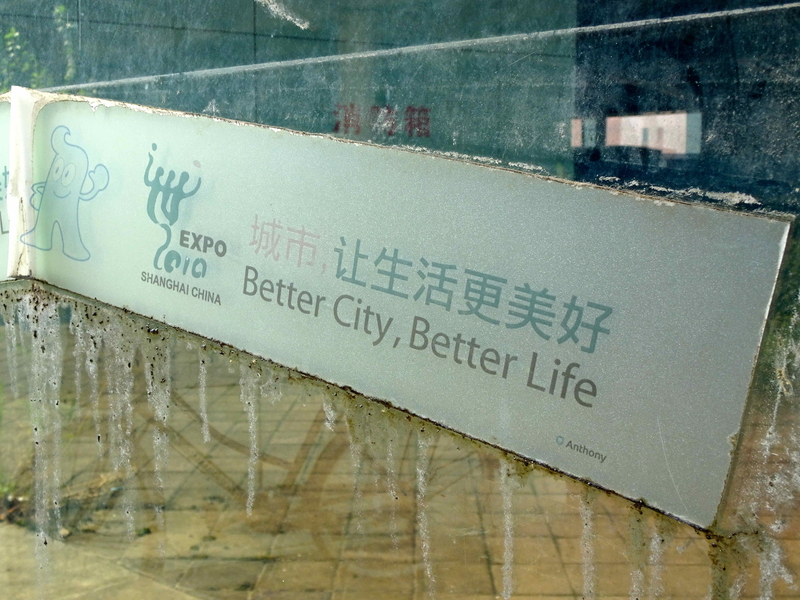 The empty and run-down pavilions of Expo 2010 in Shanghai, spread over a vast area, ironically bear witness to the still ephemeral role of international mega-events, all the more so given that the theme of the event was the “sustainable city” (photos 2 to 5). These places are also temporal heterotopias, as abandonment reveals the effects of time on a built space and the sedimentations of history. Urban ruins are places not just of memory but also of imagination in terms of urban development and potential means of reusing these decayed, abandoned or neglected spaces. Observing and photographing spaces that are empty of people, in a state of abandon or awaiting demolition, is a means of developing tools to record and remember a culture of vernacular construction that is gradually being lost, even though in some cases it features on UNESCO’s lists of intangible cultural heritage (photos 6 to 12). Amusement parks require an urban infrastructure and an economic form linked to the development of the tourism industry, as well as a type of architecture associated with specific imaginaries. China began to build theme parks in the late 1980s, while Disney only opened its first park in China in 2016, in Shanghai. Visiting amusement parks and tourist amenities dating from the 1990s allows us to measure and appreciate the differences in scale and content in terms of the facilities provided for visitors. 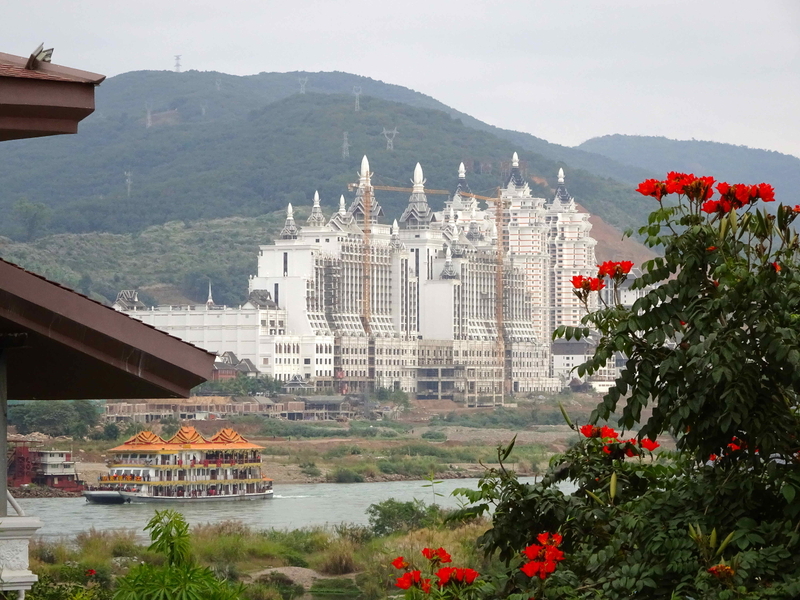 The imaginaries of the period reveal China’s desire to participate in globalization, as illustrated by theme parks reproducing “the world” in miniature, such as the “Window of the World” park in Shenzhen, which remains one of the most visited in the country. 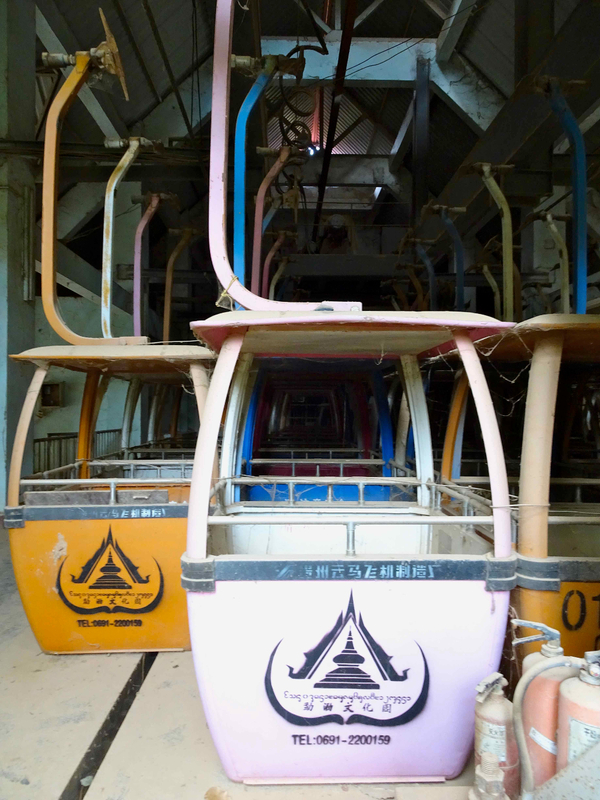 Other parks, on smaller scales, closed in the 2000s, such as the American Dream Park in Shanghai, abandoned since 2001 and awaiting demolition since 2012 (photos 13 to 18). Finally, abandoned places are economic heterotopias, as they challenge the myth of urban development as a source of growth. One prime category of spaces that reflect economic crisis is that of industrial wasteland, present in urban space as the leftovers of a production system (Vaccaro et al. 2016). Recently, the term “zombie factories” has become increasingly widespread in the media, underlining the fact that many regions are suffering from the massive closure of factories. The ruins resulting from deindustrialization are, as elsewhere in the world, evidence of an economic era that is now over (but in China they are also spaces that were formerly representative of a particularly comprehensive form of social control), today left as wasteland (Edensor 2005). For the ethnographer, entering these places before they are renovated, demolished or rehabilitated is useful, as operational industrial spaces are difficult to access for outside researchers (especially foreigners), and, even where permission is granted, can only be visited in part. 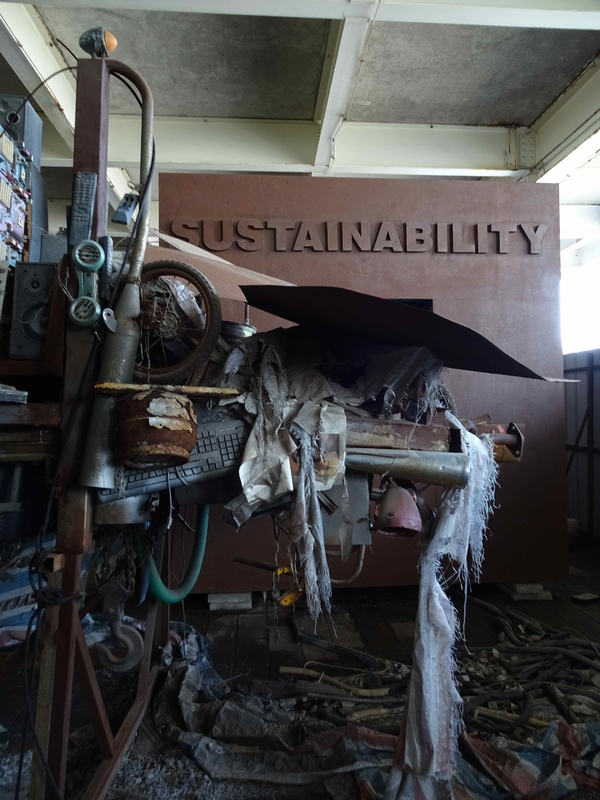 Entering a former industrial site allows the researcher to examine production infrastructures in their entirety and identify the way the factory operated, its geography, and its social environment (through attendance sheets, task allocation tables, propaganda messages, workers’ lockers, administrative offices, and so forth—photos 19 and 20). 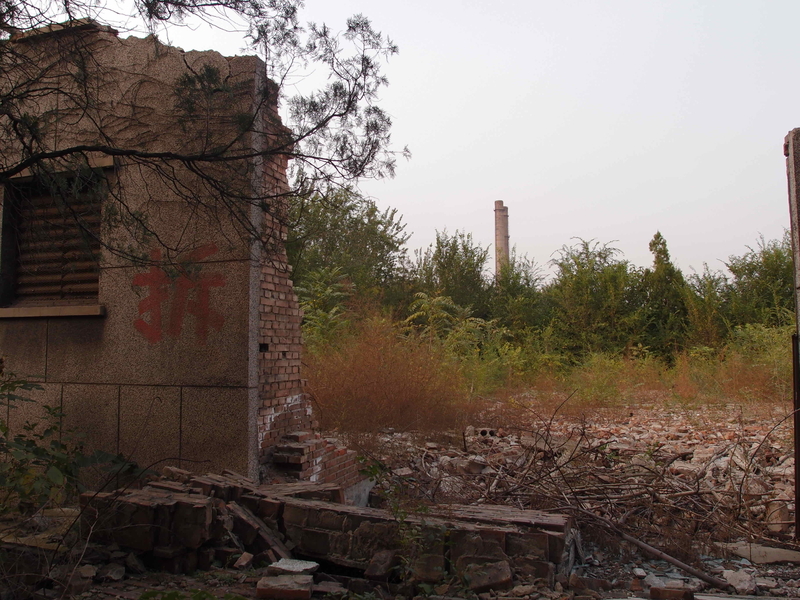 While many studies have focused on industrial cities and spaces in decline, from Detroit to Leipzig and Sheffield (see in particular Urbanités 2013), this is not altogether the case in Chinese studies, where abandoned industrial sites have only rarely been documented. Researchers have instead tended to analyze the social consequences of industrial crises through the waves of mass redundancies of the 1990s, and have focused on sites converted into arts districts, as in the case of Factory 798 in Beijing, originally an artists’ squat but which in the space of a few years became an archetype of the commercialization, gentrification and touristification of industrial spaces that have become showcases of mass consumerism. Can the changing uses of these spaces—from industrial ruin to art industry—be envisaged in ways other than through the “798 model”? What can be done to foster crisis recovery, particularly in medium-sized cities with less dynamic economies that are located far from international megacities? 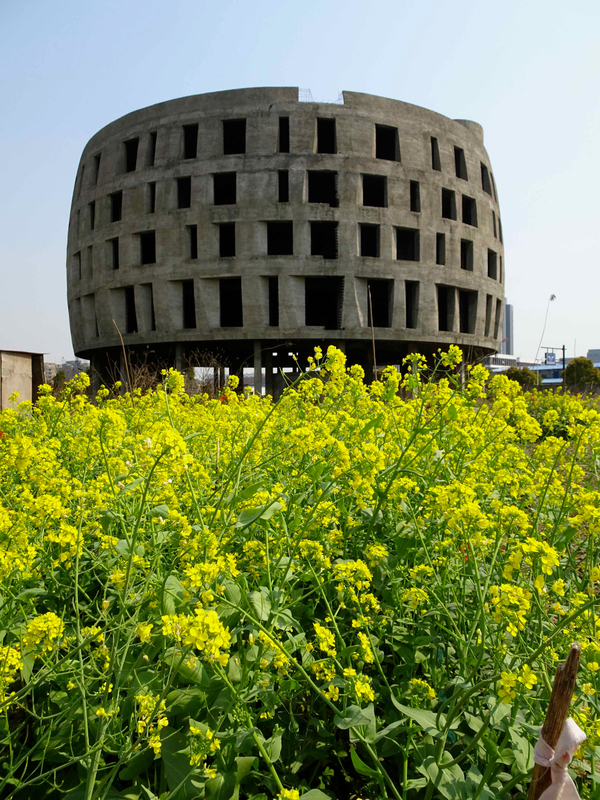 Does the paradigm of “arts districts” (yishu qu) that conserve only scant traces of former wasteland (photo 21) represent a sustainable solution in terms of conversion and repurposing? 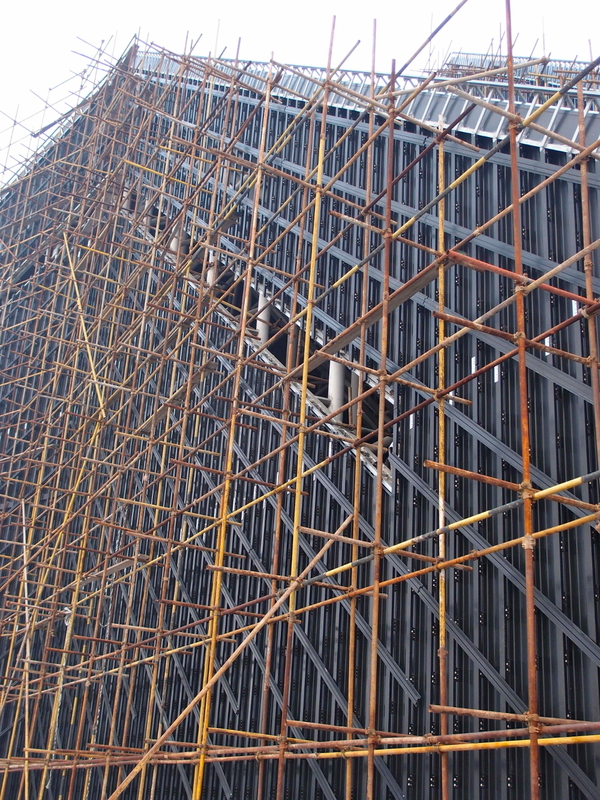 In addition to former industrial sites, incomplete constructions (failed, blocked, delayed or postponed projects) embody a second form of economic ruin that is very common in China. 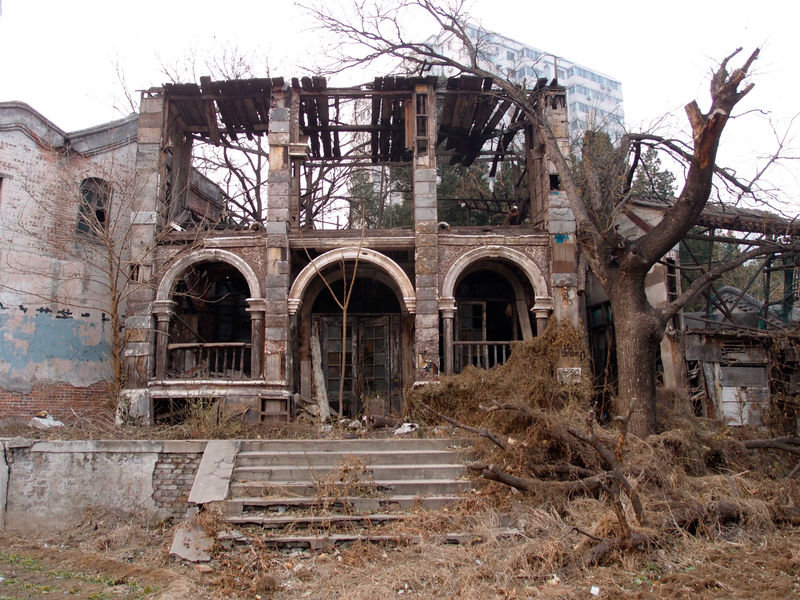 A Chinese neologism characterizes this phenomenon: lanweilou, meaning a rotting building in an unfinished state. These incomplete and aging structures provide information on a number of levels. First among these is their visual impact, as these buildings stand in sharp contrast not only with the rest of the urban space but also with other ruins, owing to their appearance that combines incompleteness with decay (photo 22). Studying this type of architecture also raises a socioeconomic issue, revealing a political and economic crisis resulting from power struggles between real-estate promoters and local public authorities, or funding difficulties since local debt is severely frowned upon by central government. 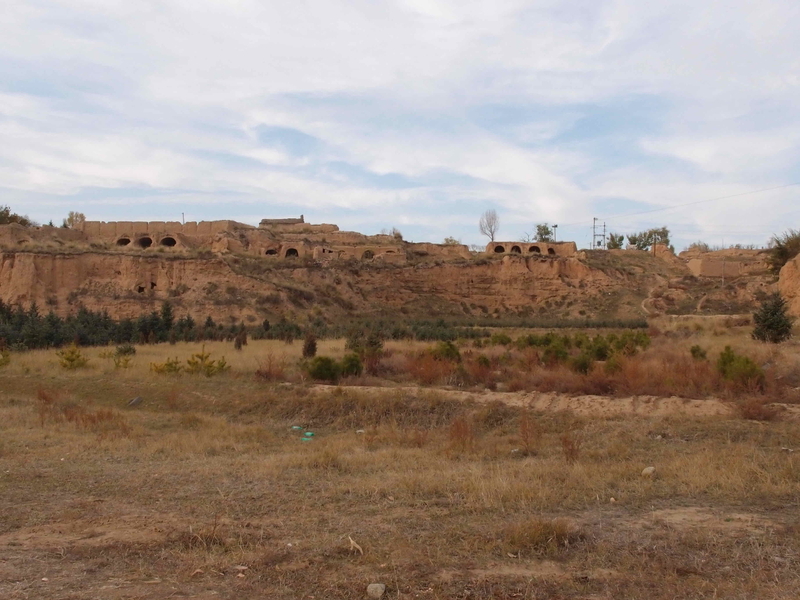 For example, Datong, stigmatized as the “coal capital” of China, was the subject of a conversion plan in 2008 that took inspiration from image-based policies (Rousseau 2013). An ambitious architectural project—a pastiche of the old town—in central Datong was initiated with a view to promoting tourism and eradicating unsanitary housing. 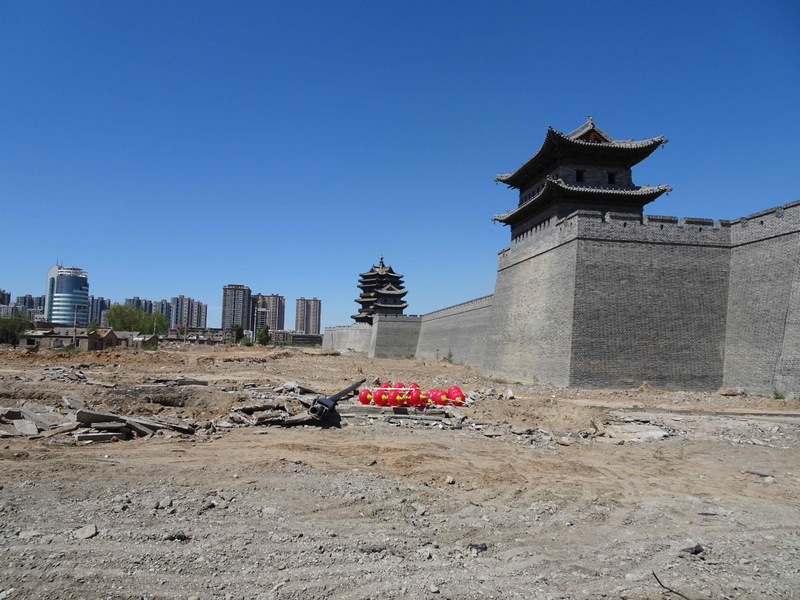 However, the project suddenly slowed down following the departure of the mayor in early 2013, leaving Datong in a prolonged state of limbo: the old-town project is still under way, but the demolition of unsanitary housing has been halted (photos 23 and 24). In the east of the city, a project for new municipal facilities (a city museum, a museum of fine arts, a theater, a library, and a stadium and swimming-pool complex) was also put on hold in 2013 (photos 25 to 29). 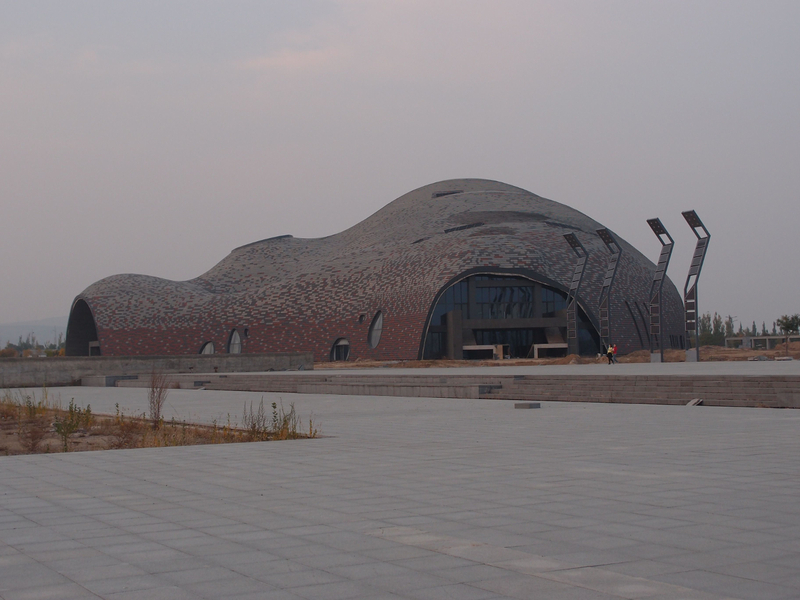 Only the Datong city museum opened in 2015. Lastly, unfinished constructions are an embodiment of the production of waste, the generation of pollution, and the use of resources resulting in architectural failure, exemplified by numerous unoccupied luxury villa complexes (photo 30). These places are not just physical spaces but also marginal social spaces that interact silently with the urban space, informing—via a mirror effect—the way in which the standards and practices of the city change. 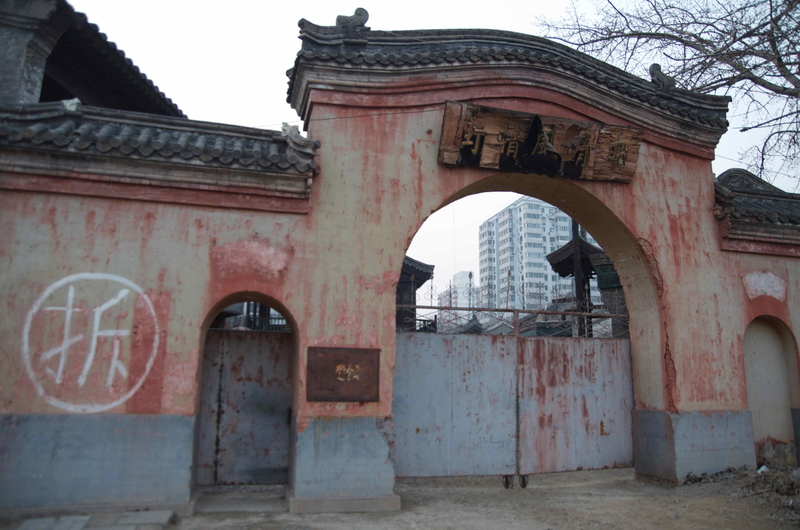 In general, these urban ruins are socially invisible in China: they tend to become “non-places” (Augé 1992), that is to say spaces deprived of an identity that are empty, but which at the same time are guarded, fortified and closed to the public. They are occupied only by the security guard(s) employed to prevent intrusions. These marginalized spaces are vulnerable because, at present, they are not sufficiently considered in terms of their potential for appropriation by social groups that might be capable of producing alternative sources of creative or playful urban practices. These empty spaces—camouflaged or hidden by high walls or by the characteristic blue fencing of work sites closed to the public—are made available for development projects undertaken by the dominant actors of Chinese urban planning. We saw that, unlike in Europe, these sites almost never become squats, and rarely become spaces dedicated to urban subcultures such as street art or urbex, except in metropolises that are exposed to and familiar with international cultures (Beijing, Shanghai, Guangzhou, Chongqing). Rather, they are the subject of massive indifference on the part of the population, with the exception of amateur or professional photographers and artists, and even then only in the largest cities (Li 2015; Ortells-Nicolau 2015). 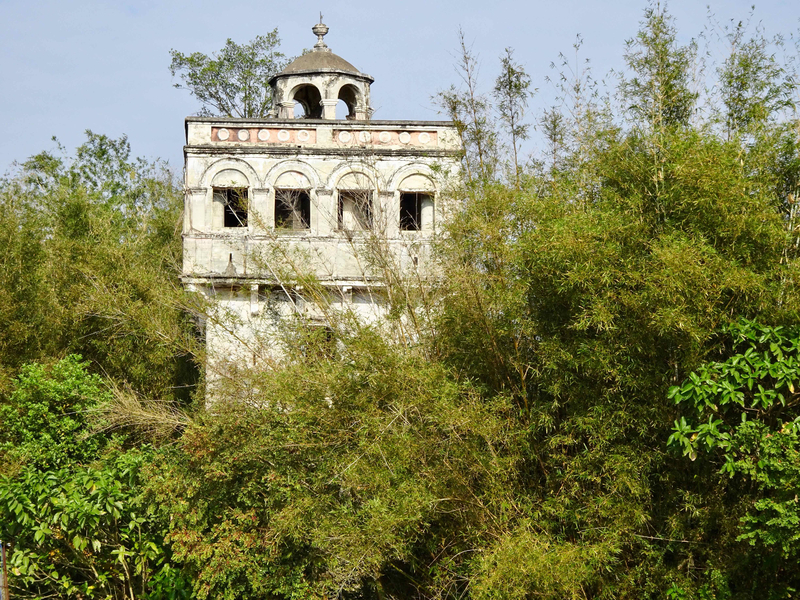 We nevertheless did observe one local practice that bears comparison with Europe: in China, certain abandoned spaces are used by local residents, security guards or site workers as places to plant kitchen gardens. Abélès, M. 2011. Pékin 798, Paris: Stock. Augé, M. 1992. Non-lieux : introduction à une anthropologie de la surmodernité, Paris: Seuil. Broudehoux, A.-M. 2008. The Making And Selling of Post-Mao Beijing, New York/London: Routledge. Edensor, T. 2005. Industrial Ruins: Space, Aesthetics, and Materiality, Oxford: Bloomsbury Academic. Ferranti, F. 2005. L’Esprit des ruines, Paris: Chêne. Foucault, M. 1994. “Des espaces autres, Hétérotopies (1967)”, in D. Defert and F. Ewald (eds. ), Dits et écrits (1954‑1988), tome 4 (1980‑1988), Paris: Gallimard. Garrett, B. L. 2011. “Assaying History: Creating Temporal Junctions Through Urban Exploration”, Environment and Planning D, vol. 29, pp. 1048–1067. Garrett, B. L. 2014a. Explore Everything: Place-Hacking the City, London: Verso. Garrett, B. L. 2014b. “Undertaking Recreational Trespass: Urban Exploration and Infiltration”, Transactions of the Institute of British Geographers, vol. 39, no. 1, pp. 1–13. Ginzburg, C. 1980. “Signes, traces, pistes. Racines d’un paradigme de l’indice”, Le Débat, no. 6, November, pp. 3–44. Hsing, Y.-T., 2010. The Great Urban Transformation: Politics of Land and Property in China, New York: Oxford University Press. Kloeckner, L. 2016. “L’image de propagande en Chine, outil du contrôle social : le cas de Pékin”, Géoconfluences, 14 February. Lacroix, S. 2007. Ce que nous disent les ruines. La fonction critique des ruines, Paris: L’Harmattan. Le Blanc, A. 2010. “La conservation des ruines traumatiques, un marqueur ambigu de l’histoire urbaine”, L’Espace géographique, tome 39, vol. 3, pp. 253–266. Li, L. M. 2007. Beijing: From Imperial Capital to Olympic City, Basingstoke: Palgrave Macmillan. Li, S. 2015. “Enquête sur le graffiti en Chine”, Cahiers de narratologie, no. 29. Logan, J. R. 2002. The New Chinese City: Globalization and Market Reform, Malden (Massachusetts): Blackwell. Meyer, M. J. 2008. The Last Days of Old Beijing: Life in the Vanishing Backstreets of a City Transformed, New York: Walker & Company. Mott, C. and Roberts, S. M. 2013. “Not Everyone Has (the) Balls: Urban Exploration and the Persistence of Masculinist Geography”, Antipode, no. 46, pp. 1–17. Nieszczrzeweska, M. 2015. 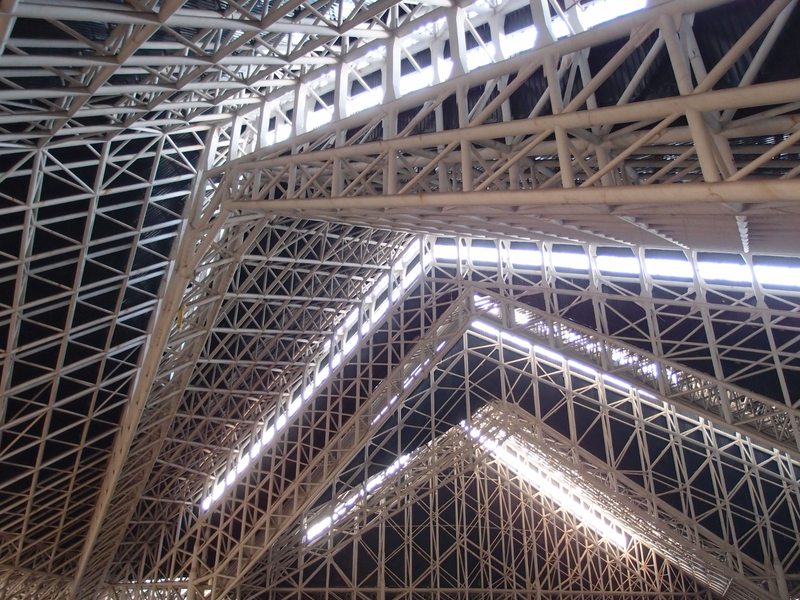 “Derelict Architecture: Aesthetics of an Unaesthetic Space”, Argument, vol. 5, pp. 387–397. Ortells-Nicolau, X. 2015. Urban Demolition and the Aesthetics of Recent Ruins in Experimental Photography from China, PhD thesis in translation and intercultural studies, Universitat Autònoma de Barcelona. Roth, M., Lyons, C. and Merewether, C. 1997. Irresistible Decay: Ruins Reclaimed, Los Angeles: Getty Research Institute for the History of Art and the Humanities. Rousseau, M. 2013. “Villes post-industrielles : pour une nouvelle approche”, Métropolitiques, 18 September (also available in English). Shepard, W. 2015. Ghost Cities of China: The Story of Cities Without People in the World’s Most Populated Country, London: Zed Books, “Asian Arguments” series. Somhegyi, Z. 2014. “Ruines contemporaines : réflexion sur une contradiction dans les termes”, Nouvelle Revue d’esthétique, no. 13, pp. 111–119. Sorace, C. and Hurst, W. 2016. “China’s Phantom Urbanization and the Pathology of Ghost Cities”, Journal of Contemporary Asia, vol. 46, no. 2, pp. 304–322. Urbanités. 2013. “Crises en ville, villes en crise”, no. 2. Vaccaro, I., Harper, K. and Murray, S. 2016. The Anthropology of Postindustrialism: Ethnographies of Disconnection, New York/London: Routledge. Vale, L. J. and Campanella, T. J. 2005. The Resilient City. 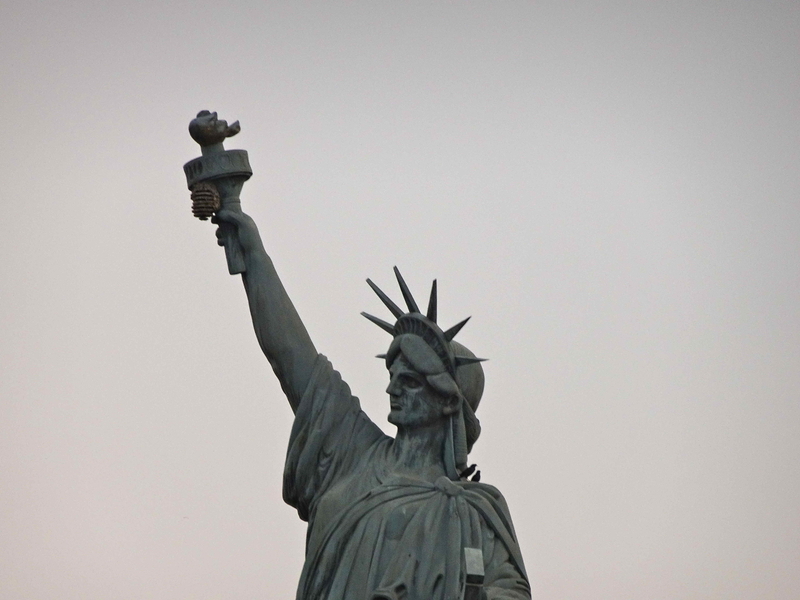 How Modern Cities Recover from Disaster, New York: Oxford University Press. Wu, F. 2015. Planning for Growth: Urban and Regional Planning in China, New York/London: Routledge. Wu, H. 1998. 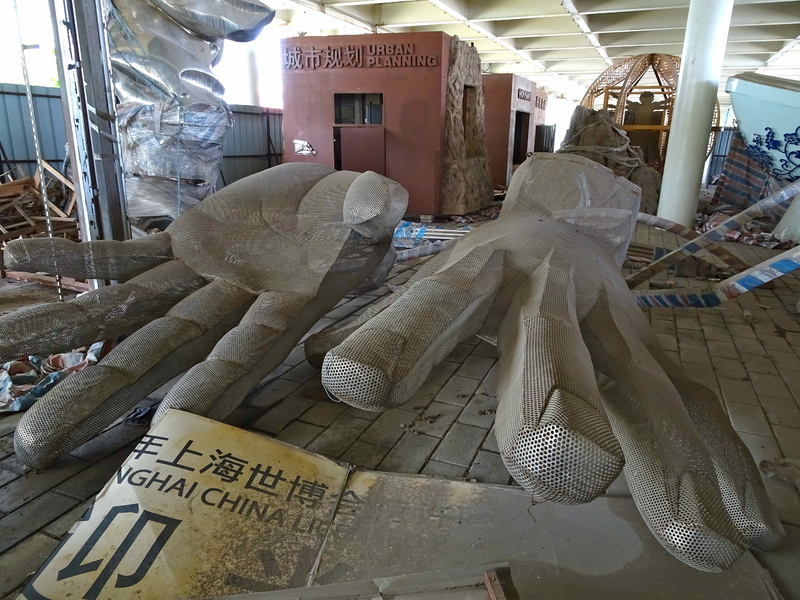 “Ruins, Fragmentation, and the Chinese Modern/Postmodern”, in Inside Out: New Chinese Art, exhibition catalog. Wu, H. 2012. A Story of Ruins: Presence and Absence in Chinese Art and Visual Culture, London: Reaktion Books. Yin, G. 2010. Great Leap Forward of City, Wuhan: Huazhong Kejidaxue Chubanshe. Judith Audin’s photographic blog: http://ignition.eg2.fr. This research was made possible—in our spare time—by a mobility program in China as part of the MEDIUM project (website: http://mediumcities-china.org), which seeks to study contemporary medium-sized Chinese cities. See: “Les entreprises zombies hantent la Chine” (in French), Le Monde, March 15 2017, URL: www.lemonde.fr/economie/article/2017/03/15/les-entreprises-zombies-hantent-la-chine_5094666_3234.html; “Inside China’s Dying, Abandoned Factories”, Zero Hedge, January 26 2016, URL: www.zerohedge.com/news/2016-01-26/inside-chinas-dying-abandoned-factories; “Death by a Thousand Job Cuts: The Human Cost of China’s Zombie Firms”, South China Morning Post, March 7 2017, URL: www.scmp.com/business/commodities/article/2076401/human-cost-chinas-failing-industrial-soes. The numerous publications on this space, which attracts large numbers of tourists, as well as researchers, tend to reinforce the labeling of the site as a major artistic space, which has become an obligatory visit or angle for studying Chinese society (see in particular Abélès 2011).